Militia Guard Music, RSD 2019, Limited 2000. 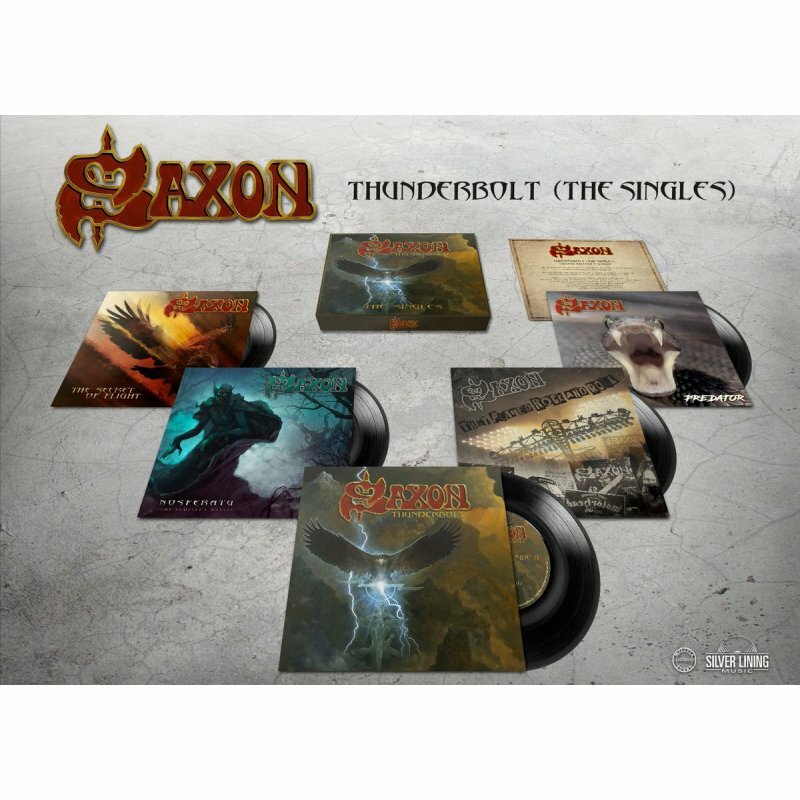 Saxon will fill heads with heavy metal thunder to celebrate Record Store Day on April 13th thanks to a mighty boxset, Thunderbolt (The Singles), via their own Militia Guard label and Silver Lining Music. Containing 5 7? black vinyl singles, all 5 official singles from the Thunderbolt album will be ?A? sides with live versions of each song on the respective ?B? sides. Each 7? will carry their unique different artwork, the singles will be packaged in a ?lid-ff? box, and the track-listing is as follows. Thunderbolt/They Played Rock and Roll/Nosferatu (The Vampire?s Waltz)/Predator and The Secret of Flight. The box set will be available in all countries and stores which participate in Record Store Day.